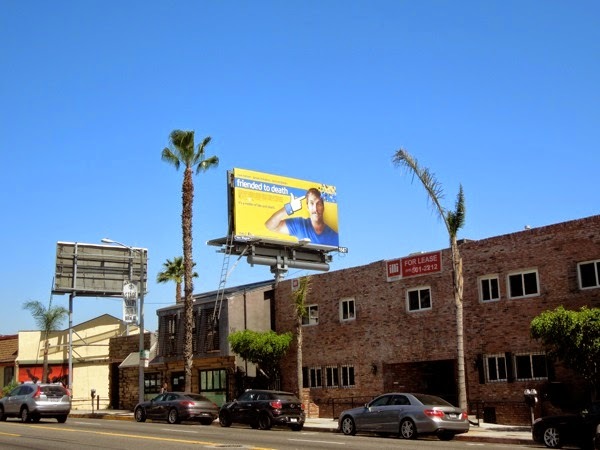 One of the things Daily Billboard loves about advertising and billboards in particular, is that when you look back at them, they capture the spirit of a time period be it the fashion, technology or cultural influences. Who would have thought when Facebook was founded ten years ago that everyone now would be totally familiar with terms like 'friend me on Facebook', or used to clicking a 'Like' button instead of leaving a comment, or actually engaging in conversation. 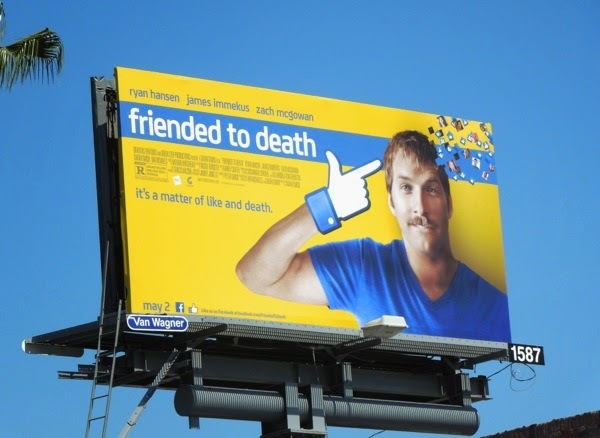 The dark comedy Friended to Death stars Ryan Hansen in a world of smartphones, retweets and selfies, as a social media junkie who fakes his own death online to find out how many of his 'friends' would actually attend to his funeral (which sounds a bit like the old Friends sitcom episode 'The One with the Memorial Service'). 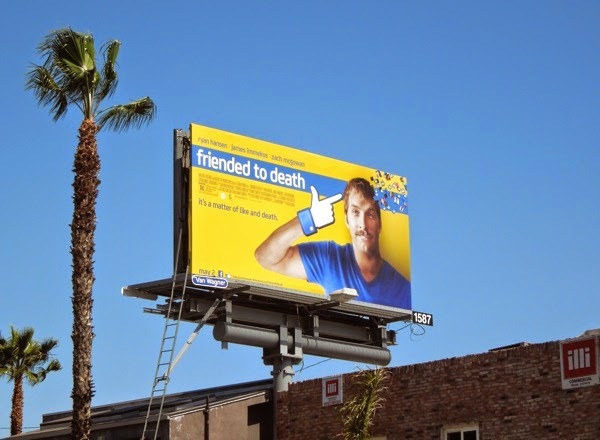 This bright, satirical billboard for the new movie nicely captures the zeitgeist of the social media generation and was snapped along Sunset Boulevard in West Hollywood on April 24, 2014. Now, how many 'Likes' can we get for this billboard?